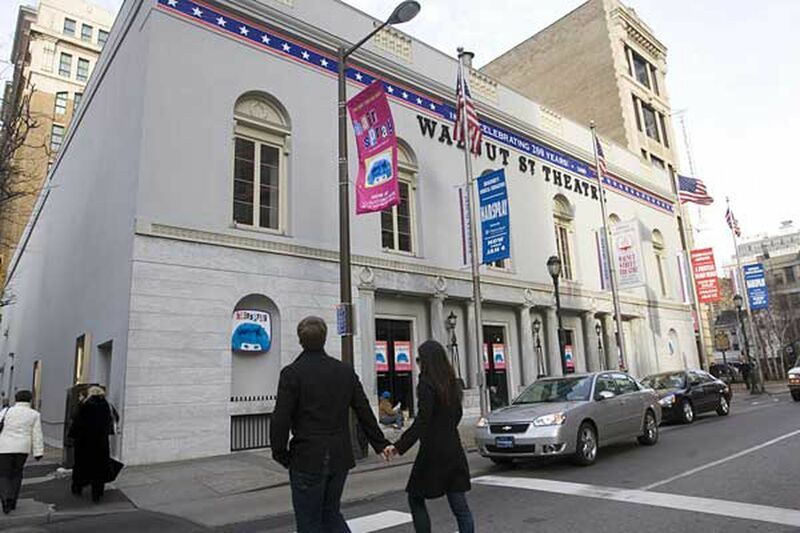 The Walnut Street Theatre has announced its 211th season. Musicals based on beloved movies are the core of the Walnut Street Theatre’s 2019-2020 main stage season, announced Tuesday afternoon. Young Frankenstein will open the season on Sept. 3. Shrek the Musical will follow. Then, after a nonmusical interlude for Oscar Wilde’s A Woman of No Importance and Gore Vidal’s The Best Man — two plays that went on to become movies — the season will close with The Bodyguard, the 2012 stage hit based on the enduring 1992 Whitney Houston-Kevin Costner romance. Subscriptions are available now. Individual tickets go on sale in early August. Mel Brooks cowrote the book for Young Frankenstein (Sept. 3-Oct. 20) with Thomas Meehan, based on Brooks' 1974 movie classic, cowritten with Gene Wilder. Brooks also wrote the songs. The original Young Frankenstein musical ran for 484 performances on Broadway and did a national tour. A revised version opened in 2017 in London. Audiences can help make the horses neigh by shouting out Frau Blücher’s name — and wait for Harold the Hermit to pour hot soup for, or on, the Monster. Shrek the Musical (Nov. 5, 2019-Jan. 5, 2020) is what Walnut does best: a long-running, full-on, big-cast family musical. The 2008 Broadway show boasts tunes by Jeanine Tesori (Fun Home) and lyrics by Pulitzer-winner David Lindsay-Abaire. It’s based, of course, on the 2001 DreamWorks animated movie about the nice, green ogre. Bernard Havard, president and artistic producing director for the Walnut, says he was inspired to put the show on the schedule after local singer/actor Nichalas Parker brought down the house as the Cowardly Lion in Walnut’s Wizard of Oz. “He’s our Shrek,” Havard says, “and we’re building it from there." A Woman of No Importance (Jan. 14, 2020-March 1, 2020) is a sparkling comedy of manners. It tells of an American “new woman” who travels to England and runs smack into the pretensions and secrets of the upper classes. Wilde was on a hot streak in the 1890s with plays such as this one, The Importance of Being Earnest, and An Ideal Husband. If not as familiar as the other two, A Woman of No Importance is a very witty play, with plenty of durable quips. Gore Vidal wrote The Best Man (March 10, 2020-April 26, 2020) in 1960, basing much of it on contemporary politicians such as Adlai Stevenson, Harry S. Truman, and the young John Kennedy. Michael Wilson, who directed the 2012 Tony-nominated revival on Broadway, will direct here, too. He says his production will reunite “other members of the creative team,” including composer/sound designer John Gromada, who won a Drama Desk award for his score. This worldly, suspenseful play follows the 48 hours leading up to a presidential election. When it hits the Walnut stage, we’ll be in the midst of what promises to be an extremely interesting primary season. But how about that little dog who was so cute in the movie? “We have our dog already signed up,” says Havard. It’s a Chihuahua-terrier mix trained by Tony-winning animal trainer William Berloni, who has worked with the Walnut on Annie and other productions. Walnut Street Theatre, 825 Walnut Street, 215-574-3550, walnutstreettheatre.org.